Sometimes I think my year would be better off without the month of May...maybe, just maybe. The month of May has been one that I have dreaded since our losses. It includes the anniversary of our first loss, Mother's Day, and the anticipated due date of our second child. 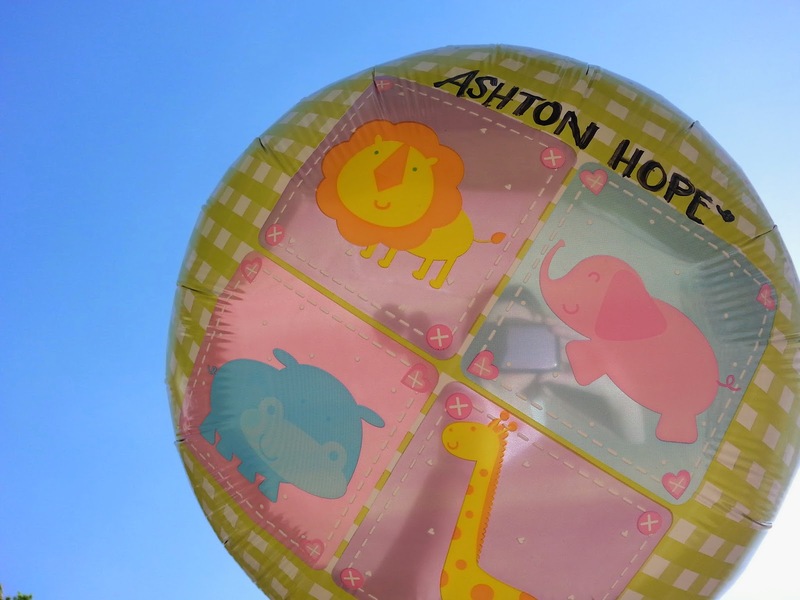 On May 10th, we faced the second anniversary of the loss of our first child, Ashton Hope. We remembered Ashton Hope with a balloon release to celebrate his or her short, yet significant life and the way it impacted ours. The following day was Mother's Day. In the days leading up to that weekend, I will admit that I was fearful. I was afraid the grief would be too much. I was afraid of the pain. I was afraid my heart and mind would flash back to the feelings I had felt on those days two years prior. But...God's grace is bigger than fear. Yes, I felt sadness. Yes, my heart ached for our babies. Yes, I cried many tears. But I also felt hope and peace and love and comfort. It came through text messages and phone calls. It came through cards and gifts. It came through a hug, a knowing look, and Mother's Day wishes. It came through His people and maybe it came through you (if so, thank you). In those moments, God reminded me that I am not forgotten, that He is the God who sees me (see Genesis 16:13). 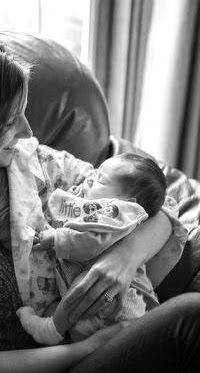 Today marks the due date of our second child - one year later. Today we have thought about, remembered, longed for, and missed our "Baby J", yet we have felt peace and comfort and hope. We have also asked God to pour out His love and blessings over our sponsor child, Nilver, as he celebrates his eleventh birthday today. It's such a gift to be able to celebrate on a day that could possibly only be filled with pain. And really, in some ways, this is what the month of May is becoming. A time of pain, but also a time of celebration. I recently received one of the most precious gifts I have ever been given and it came in the month of May. 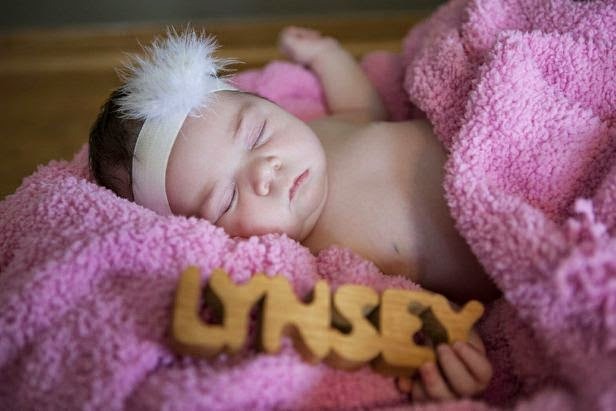 On May 8th, 2014, my best friend's daughter, Lynsey Joy, was born. Just days before the anniversary of our first loss, God gave me an incredible gift through the love and thoughtfulness of a friend. The honor of sharing her daughter's first name, and the opportunity to leave a legacy. Lynsey Joy holding one of my childhood keepsakes. Only God has a way of turning a painful month into something to be celebrated. It looks like maybe, just maybe, my years will be better off with the month of May after all.